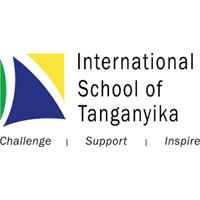 Organizational Context The International School of Tanganyika (IST) enjoys a reputation as a leading educational institution in Africa. Our mission is to challenge, support and inspire our students to tuft their potential and improve the world. Founded in 1963, we have been working with expatriate and Tanzanian families for over 50 years. Our longevity and strong international reputation has been developed through effective partnerships with our local community, strong academic results, and a well-balanced curriculum which allows students to explore their passions and interests. IST employs 120 Teaching stall and 184 Support Staff, representing 19 nationalities. With over 800 students. IST has a strong reputation of academic achievement. a rich extracurricular program and a high degree of commitment to community engagement and service. We are proud of our balanced program that prepares students to be active and healthy citizens with diverse interests. Summary of the role The work experience program provides Tanzanian young adults who aspire to work in education with the opportunity to gain skills, experience, and training towards a future career. Work experience participants observe and assist in Science (Biology, Chemistry and Physics) and Maths classrooms while gaining exposure to an international school setting. They are provided with training and mentorship to work with students in a classroom setting under the guidance of a lead teacher or teachers. In addition to classroom experience, the participants gain valuable experience working in a cross-cultural setting with students. parents, and teachers from around the world. During the internship period, the Teacher Intern mil be required to work as a substitute/cover teacher in the absence of a regular teacher to aid students in understanding a subject matter, as well as to provide skills required for programmed lessons and purposeful training for the classroom he/she is assigned. • Supports the supervision of students in and out of classroom activities during the school clay. Perform other duties as assigned, including special protects as requested by the Principal. • A University degree in Education with specialization in Science (Physics, Biology and Chemistry) or Maths with a GPA of not less than 4.5. • Supervise students outside of the classroom in an active manner. • Contribute to school initiatives. such as working committees. extra-curricular activities. assemblies. school events.